Children and teens treated for cancer undergo an overwhelming number of medical procedures. Faced with drug infusions, blood transfusions, surgery, bone marrow aspirates, lumbar punctures, finger pokes, and other invasive procedures, they often have to remain in the hospital for extended stays and sometimes travel to other cities for treatment. 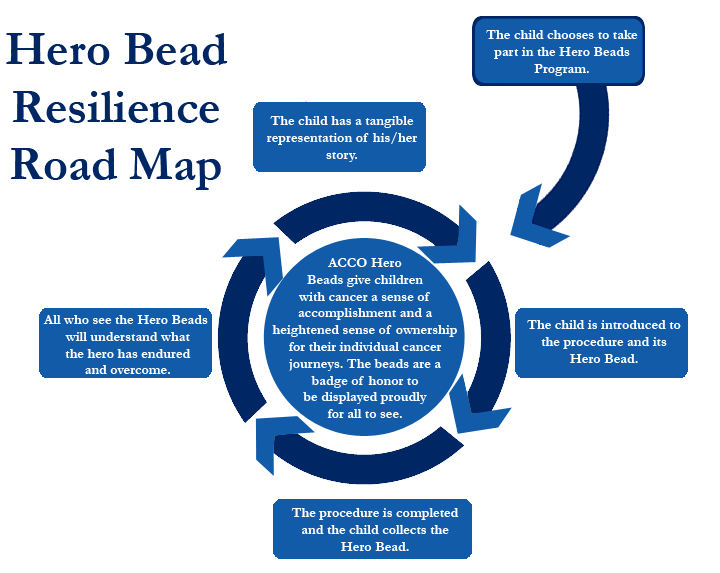 The ACCO Hero Beads® Program is a resilience-based program that combines art and medicine to help children and teens map out and cope with their childhood cancer treatment. 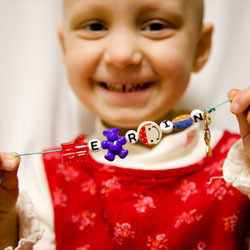 Hero Beads® are designed to let children and teens with cancer commemorate their personal cancer journey. Every time that a child or teen has a procedure—whether a chemotherapy infusion, radiation therapy, a bone marrow aspirate, a blood transfusion, etc., a parent or a member from the medical team can give him or her a special bead to add to his or her string of beads. Each bead represents a specific treatment that the child received. For example, a bone shaped bead represents a bone marrow transplant. 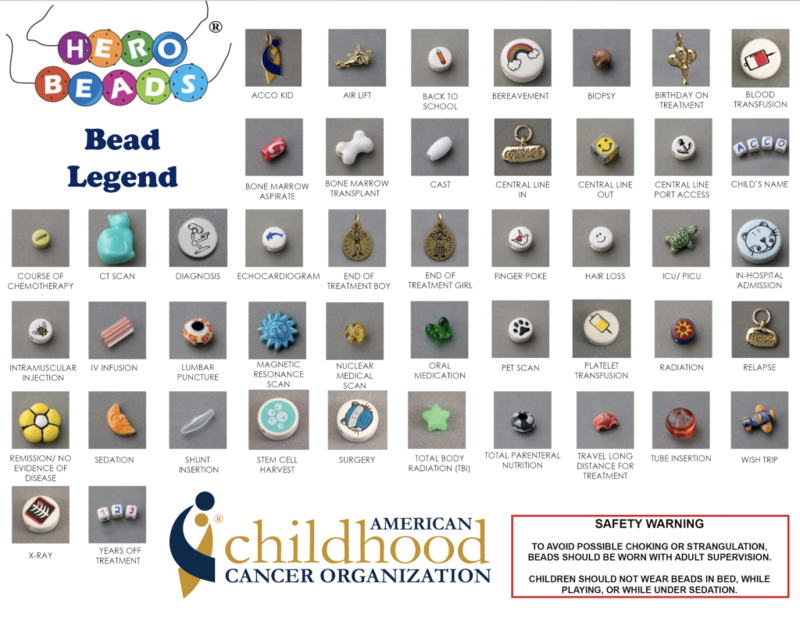 ACCO Hero Beads® provide a symbol of each child or teen’s unique cancer journey—a symbol that demonstrates the child’s strength and accomplishments. Seeing the string of beads can help friends, school mates, and extended family members better understand what the child has gone through. Parents can also use this tool as a means to visually share their child or teen’s cancer journey with colleagues in a meaningful way. Beads may be purchased from our web store individually by families or in bulk by hospitals and ACCO Affiliate and partner groups. Prices will vary according to quantity ordered.